He repeated what he said earlier this month, stating that a security assessment will be carried on the Dundalk woman. 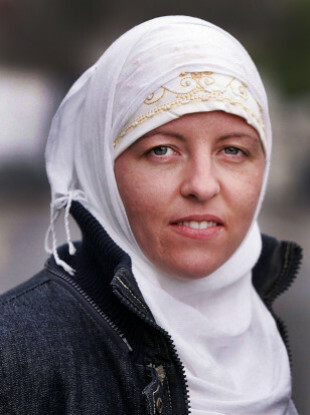 TAOISEACH LEO VARADKAR has said that no one can condone the actions of Lisa Smith, the Irish woman being held in Syria who is suspected of links to terror group ISIS. Speaking in the Dáil today after briefing his Cabinet on the matter, he said that Smith has a two-year-old child that is an “innocent” Irish citizen. The Dundalk native previously worked in the Irish Defence Forces but left service in 2011. She went on to convert to Islam and married a Muslim man. It is believed she departed for Syria in 2015 after her marriage broke down. While there, she married a British man. It is understood he was killed two months ago. He repeated what he said earlier this month, stating that a security assessment will be carried out to ensure the Dundalk woman is “not a threat to life and limb here in Ireland”. “I am very conscious of the fact that while nobody can condone the choice that she has made and the actions that she took in aligning herself with ISIS, a terrorist regime that is hell-bent on the destruction of the West and Christendom, she does have a two-year-old child that is an Irish citizen and that child is an innocent child. “And as is the case with all Irish citizens, they will be permitted to re-enter the State should they try to do so,” said Varadkar today. “Of course a security assessment will have to be carried out to make sure that Lisa Marie Smith is not a threat to any of us. “Nonetheless I am aware of the vulnerability of the two-year-old child in these circumstances. The safety and welfare of Irish citizens is a priority for the consular service and the government. This applies to the case in question where two Irish citizens are in high-risk locations and wish to leave. He said efforts are being made with international partners, including international organisations, “to ensure that decent humanitarian treatment is afforded”. When the news first broke about Smith in early March, Varadkar said the authorities would interrogate her to see if she was involved in any crimes in Syria, however he added that it’s very possible that she was never a combatant. “There may need to be a prosecution there and we need to make sure that if she does return to Ireland that she isn’t a threat to anybody,” he said previously. 13.03.19 Explainer: How can the return of Islamic State members to their home countries work? The Cabinet was briefed on the matter today and told that the Department of Foreign Affairs are in close contact with Smith’s family. Tánaiste Simon Coveney previously said the Irish government has a responsibility towards its citizens will try to bring Smith home. It is understood that the Department of Foreign Affairs and the Department of Justice are co-ordinating the efforts to bring Smith back to Ireland. A government spokesperson said Syria is a very complex and active war zone. He added that the government jet would not be a solution to bring Smith back to Ireland, stating that it would not have the range, and would not be permitted to fly in such an active war zone anyway. The Taoiseach also said the government jet is not used to repatriate citizens, adding that it cannot fly as far as Syria or even as far as Turkey. “I do not know where that comes from, but it is absolutely not the case,” he added. Email “Taoiseach says no one can condone Lisa Smith's actions, but that she has an innocent child ”. Feedback on “Taoiseach says no one can condone Lisa Smith's actions, but that she has an innocent child ”.